Don't know about you, but I love 'keema' / mince form of meat. 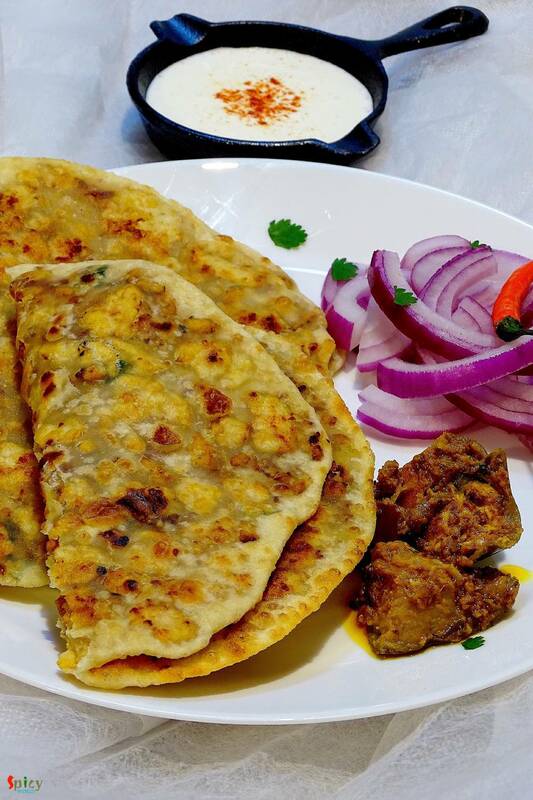 I have already posted so many recipes on 'keema' and this time I made paratha with mince chicken. The authentic recipe calls for 'mutton keema' but didn't have it that time, so made it with chicken and the parathas came out perfectly fine. 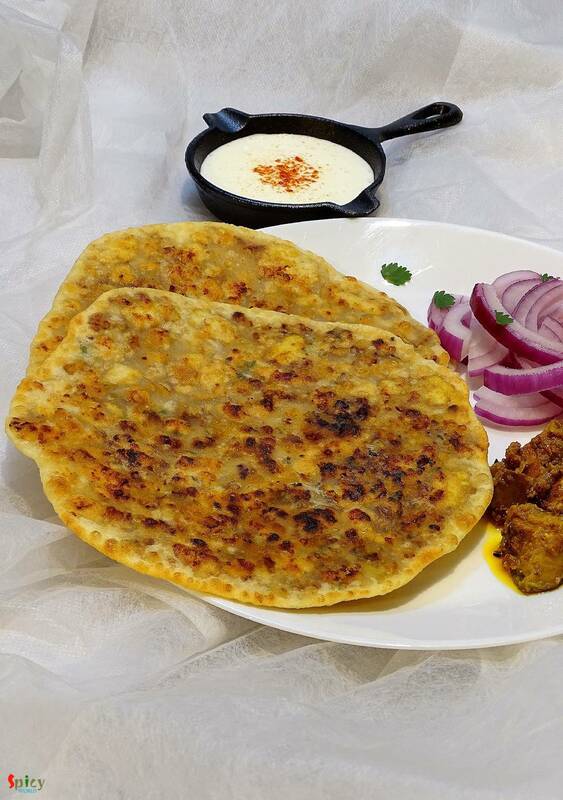 These breads can be enjoyed with pickle, raita or any type of gravy. 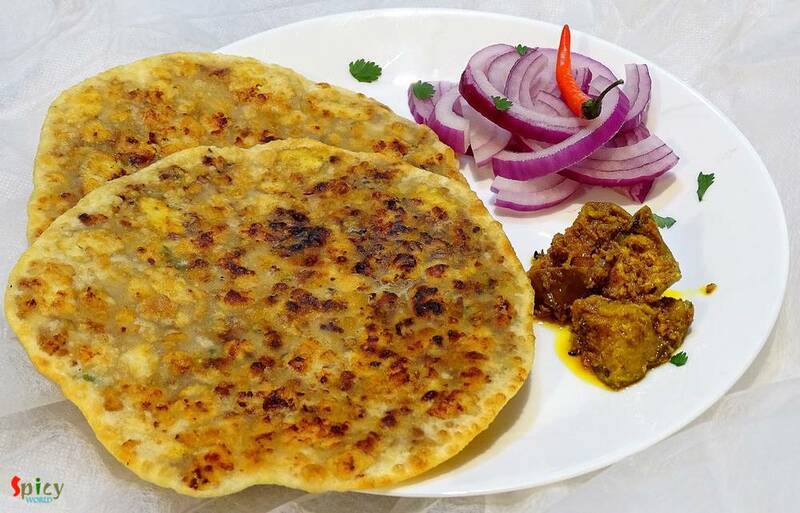 The recipe is very simple but you need to mince the chicken very fine like paste, otherwise paratha will not come out perfect. Try this recipe in your kitchen and let me know how it turned out. 2 Tablespoons of chopped coriander leaves. Half cup of white oil. Spice powder (1 Teaspoon of turmeric powder, 1 Teaspoon of red chilli powder, 1 Teaspoon of garam masala powder, Pinch of chat masala). 1 Tablespoon of gram flour / besan. Put the flour, 2 Tablespoons of oil, pinch of salt and curd in a mixing bowl. Mix well with your hand. Gradually add little by little water while mixing. Make soft and smooth dough. Cover it and let it rest for 20 minutes. In the meantime, heat 3 Teaspoons of oil in a pan. Add 1 Tablespoon of gram flour / besan in hot oil. Mix well. Then add chopped onion. Fry for 10 minutes. Add chopped green chilies, ginger and garlic paste. Mix well. Then add the minced chicken and some salt. Mix well in high flame for 15 minutes. Add all the spice powder. Mix and cook for another 12 minutes. Lastly add chopped coriander leaves. Mix well and turn off the heat. Now make lemon size balls out of the dough. Flatten them to medium size. Place 1 Tablespoon of chicken filling in the center. Then seal the edges properly and give a round shape. Dust them with dry flour and flatten them with rolling pin. The size should be like normal paratha. Then fry them in hot pan with oil, just like parathas. 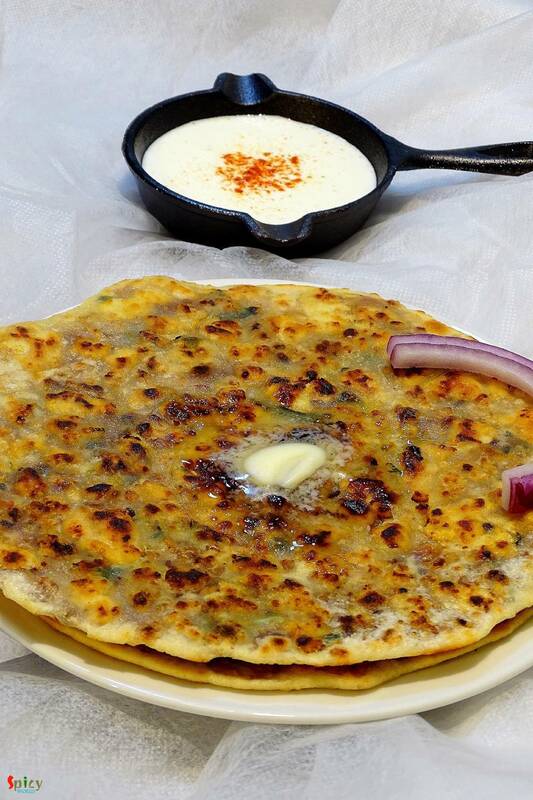 Your chicken keema paratha is ready .. Serve this hot with some pickle and raita ..